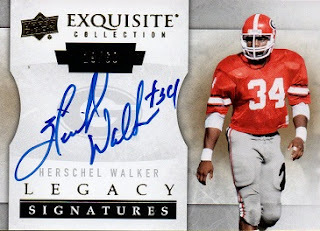 I've been on a roll lately, and have picked up some nice autographed examples of Herschel Walker cards. This is #584, as I work toward my goal of 600 different Walker cards. 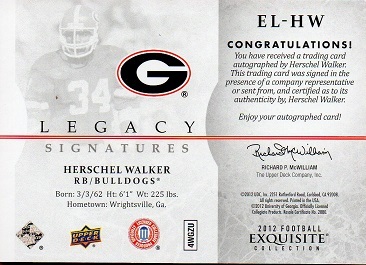 A 2012 Upper Deck Exquisite Legacy Signatures EL-HW. This card is number 19 out of a serial numbered set of 60.